Shakespeare finds himself the victim of treachery most foul when he is contacted by his dark mistress. His excitement at seeing her is short- lived as she threatens to expose their affair and blackmail him to pay for her considerable doctors' bills. A fire kills her, and the only witness is brutally murdered. Worse yet, Shakespeare is the primary suspect. 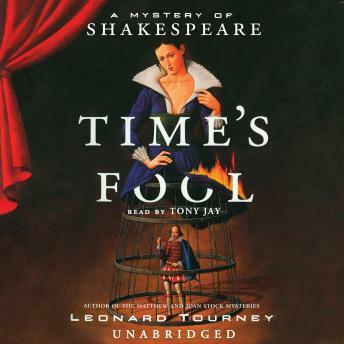 With his reputation and his life itself on the line, Shakespeare must put down his quill and brace himself for a mystery like none other.